In an application, service is a component which consists of business logic or set of individual functions. Services often served as loosely coupled modules. If you are building an Angular2.0 application there are various ways to inject the service into your component. Service consumption in Angular2.0 application follows dependency injection principles. Component can be resembled to directives in Angular1.x. So if you component needs a service instance, then the service can be injected while constructing the component. The constructor in the above code has three services injected into it. The above service is written in a separate typescript file. So the export notifies which class you want to expose for access from other files. The Injectable annotation says that the service is injectable. So above are the ways to create and inject services in Angular2.0. Following is the working code base of the above examples. 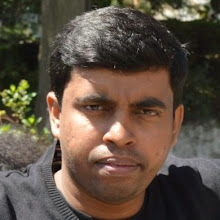 Asutosh Dash, currently working as Lead Software Engineer in Informatica.I am passonate about of web related technologies and would like to explore more. © Copyright 2015 Litutech. Blogger Templates Designed by Bloggertheme9. Powered by Blogger.